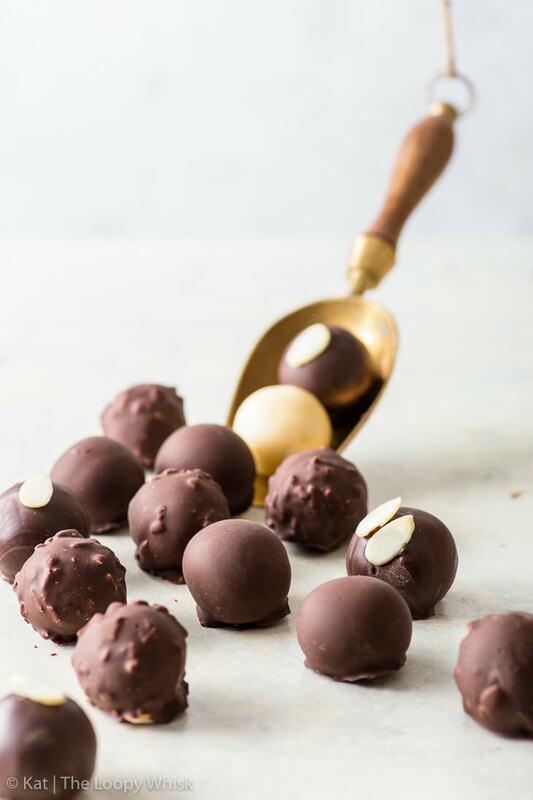 5 minutes is all it takes to make these delicious vegan marzipan truffles. 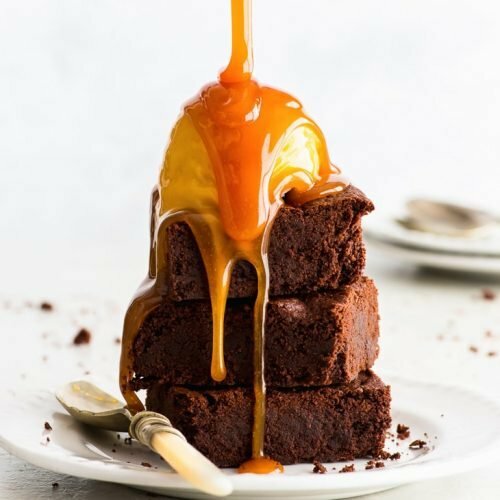 And with only two ingredients, they couldn’t be easier to prepare – but don’t let the simplicity fool you. 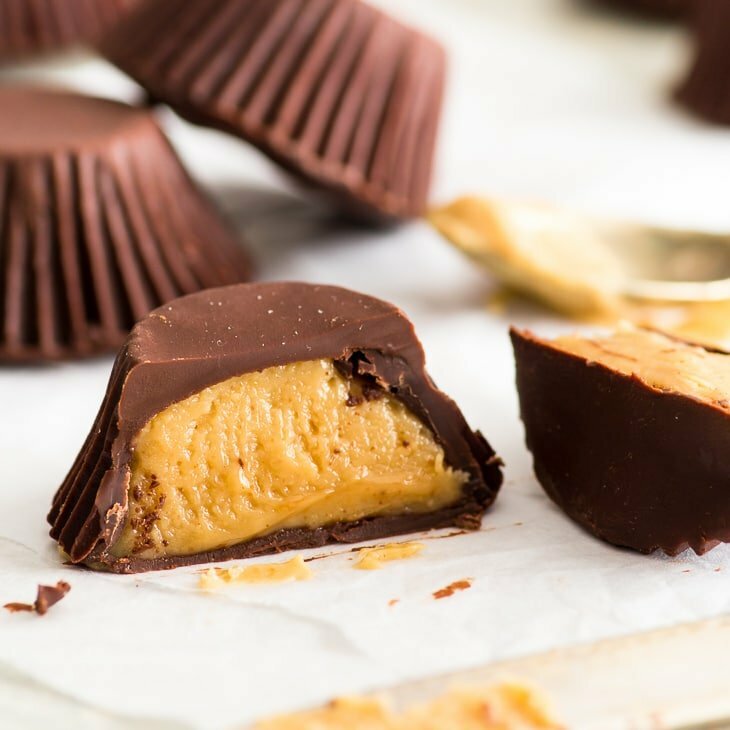 These bite-sized sweet treats pack a helluva flavour punch. 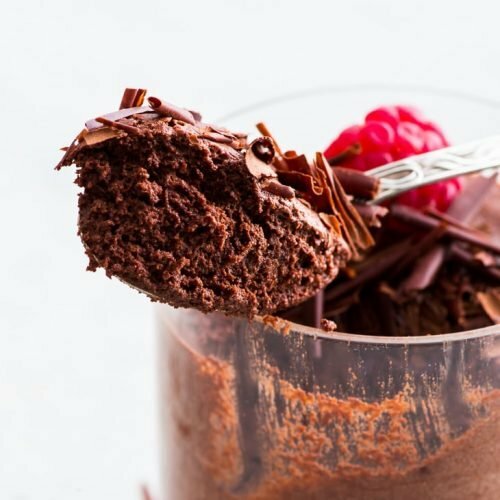 There are some recipe that require 46 ingredients and 5.2 hours to complete. 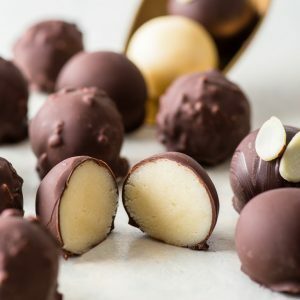 Then, you have these 2-ingredient marzipan truffles that take a whole 5 minutes to make. *gasp* Shocking, I know. Actually, 5 minutes might be stretching it a bit. Is this a recipe? Kinda. It’s more of an idea. 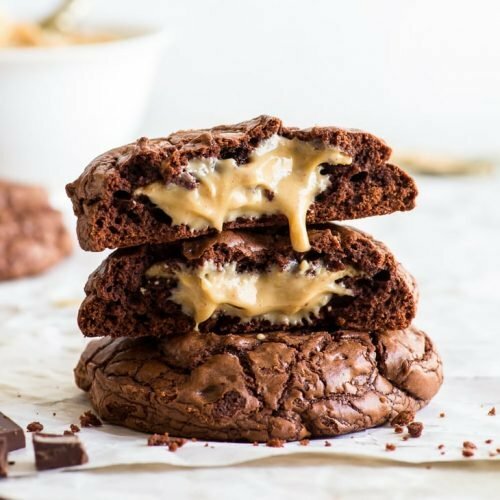 A delicious, mouthwatering, can’t-believe-I-didn’t-think-of-this-sooner idea. It’s the best kind of idea there is. So… marzipan. A grossly underrated and underappreciated ingredient that people somehow seem to have forgotten. Or, for some reason, think of it as outdated. No. Just no. Marzipan is amazing and glorious and stop badmouthing it right now. Mmkay? Okay good. 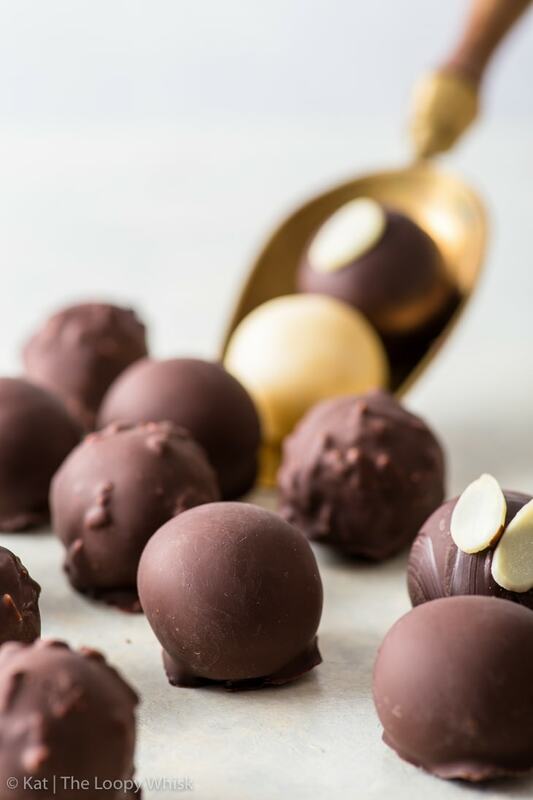 Now, you probably don’t need me to tell you how to make these marzipan truffles, do you? It’s pretty self-explanatory, if we’re being honest. Roll a ball of marzipan. 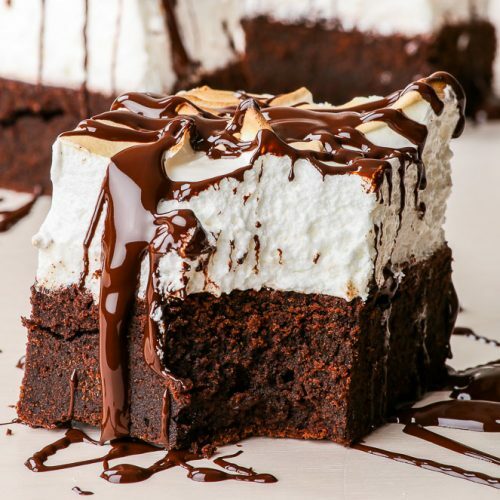 Dip in chocolate. Allow the chocolate to set. The end. 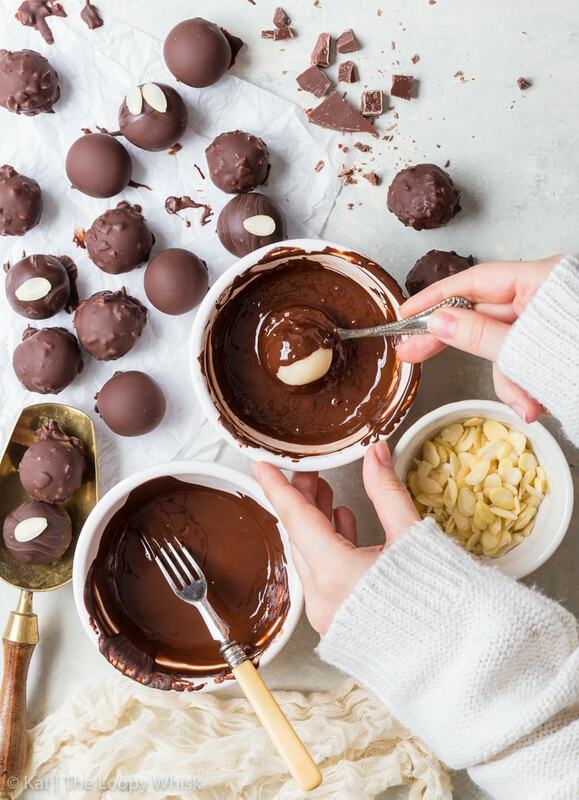 If you feel like adding an extra pizzazz into the truffles, chop some almonds, toast them in a pan and chuck them into the melted chocolate. 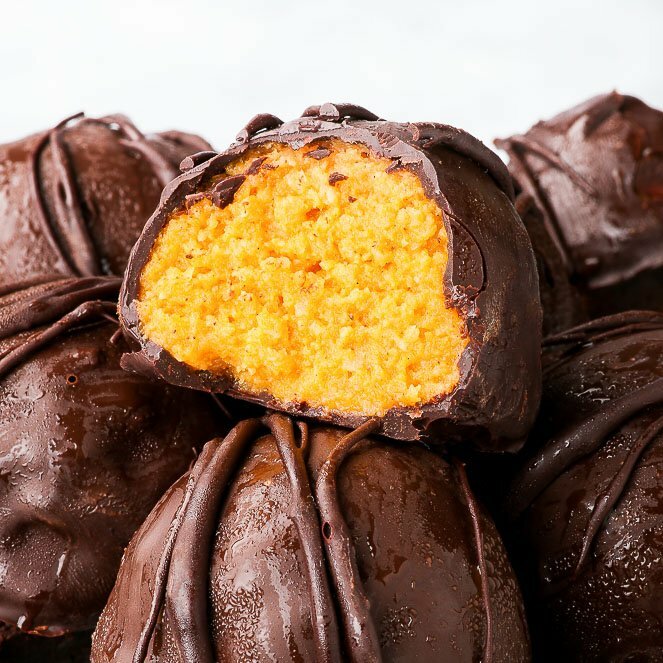 This will create the most amazing crunchy chocolate shell and set of fireworks on your tastebuds. You’re welcome. And… honestly, that’s it. As I’m writing this, it’s Friday afternoon (although this post probably won’t be published for a few more days), so I’m knackered and I could probably eat about 10 of these marzipan truffles right now. Actually… see ya later alligators, because I’m going to do exactly that. 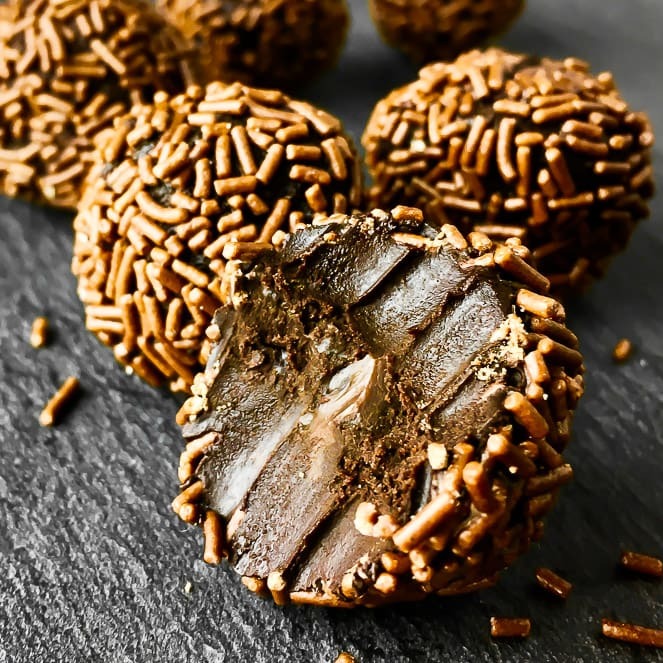 Roll about 1 tablespoon worth of marzipan into a ball and dip it into chocolate. 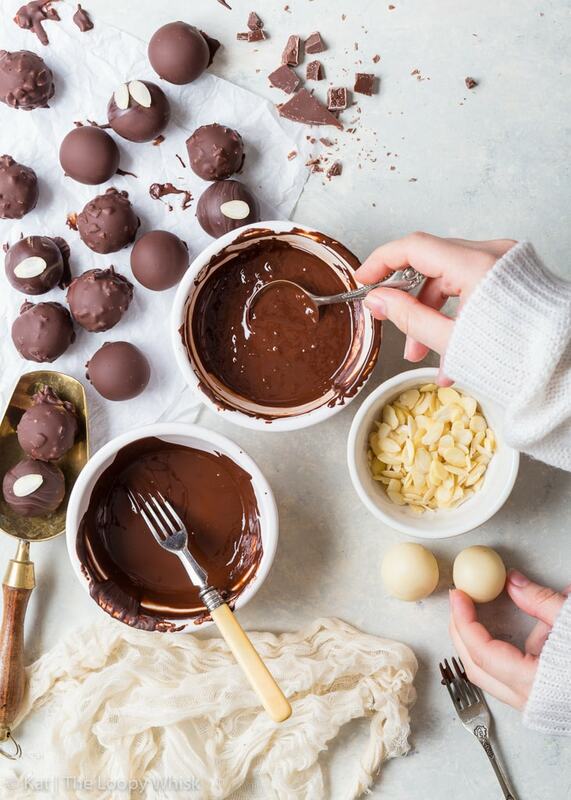 Allow any excess chocolate to drip away, then place the truffle onto some parchment paper or cling film. Repeat with the rest of the marzipan. Decorate with flaked almonds (optional). Allow the chocolate to set. 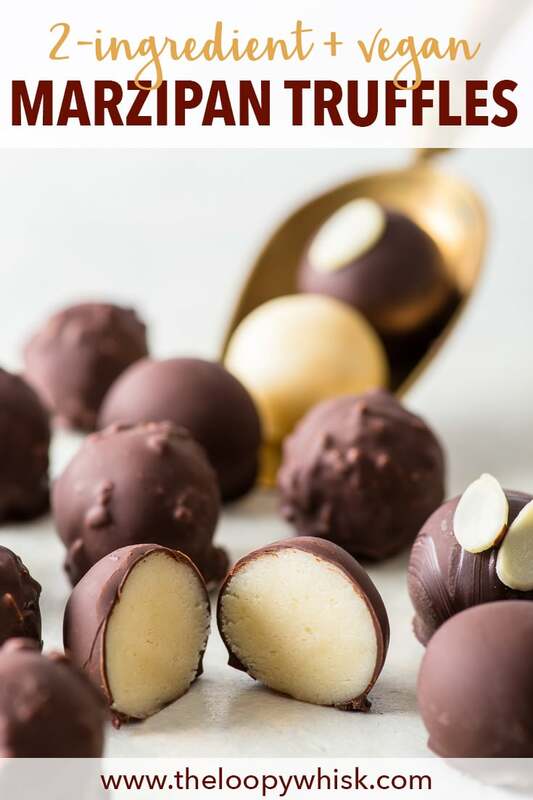 Optional: For a crunchy chocolate shell, mix the chopped and toasted almonds into the chocolate before dipping the marzipan balls into it. 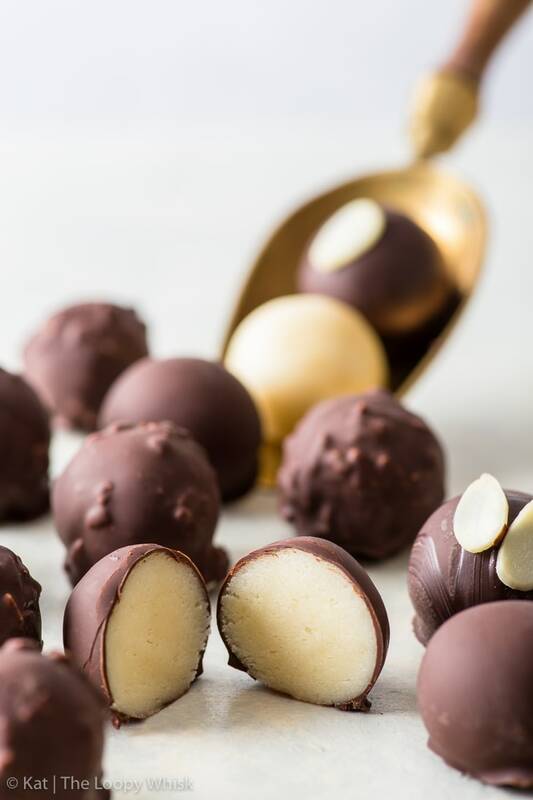 The marzipan truffles keep well in a closed container in a cool dry place for about 2 to 3 weeks. I hate to say this, but marzipan is traditionally made with egg whites. I have looked for store-bought marzipan without egg whites, but to no avail. If you are vegan, you may wish to check the ingredients of the marzipan before using it. 1/4 cup vegan powdered sugar. Hi Laura, I believe that may depend on where you are located – here in the UK, most shop-bought marzipans don’t contain egg whites. Of course, checking the ingredients list is always recommended.